With the increasing popularity of stem cell therapy, many clinics are popping up all around the world; offering stem cell therapy to number of diseases. It has become difficult for patients and their families to find an authenticated stem cell clinic with so many options around them. However, since the stem cell therapy is still advancing and you are going to spend huge amount; it is important to choose the right stem cell therapy provider to have better treatment outcome. It is important to inquire about doctor’s expertise. Doctor, who is treating you; should be expert of that particular area. Another critical factor to look for is their stem cell processing lab. Stem cell processing lab should have sound scientific advisory team and expert technician team. Also check if they possess any independent oversight or accreditation of the facility where they do cell processing? It is also important to inquire about what all certificate of analysis you will get with stem cells. As each patient is unique and disease conditions are also different, so a defined stem cell therapy protocol cannot fit for all conditions. It is important to understand what type of cell sources are good for you, which mode of administration work in efficient way in your case. In light of these criterions, Advancells is one of the best stem cell therapy providers in India. Advancells is a research oriented company focused on therapeutic applications of Regenerative Medicine. One of the pioneers Stem Cell Company in India, Advancells is passionate about the almost limitless potential of Human Stem Cells in providing a natural cure for any ailment that our body suffers from. It does not follow the practice of one size fits all and so a unique protocol is prepared for each patient considering the best cell source, viable cell quantity and injection protocol. Advancells world class GMP lab is at the forefront of research and innovations and is involved in several clinical trials and innovations across the world to consistently improve and further establish the safety and efficacy of stem cell technology. Advancells takes pride in being transparent with patients and every cell that is being released is tested for viability, efficacy and safety. Advancells has been credited with lots of accolades & recognition from time to time. Advancells was recognised as the “Best Stem Cell Technology R&D Company” and CEO Mr. Vipul Jain was adjudged the “Medical Research CEO of the year 2017. Advancells was also honoured to host Amir of the state of Kuwait for treatment. The company has a proven track record of providing high quality stem cells and touched the lives of more than 8000 patients. 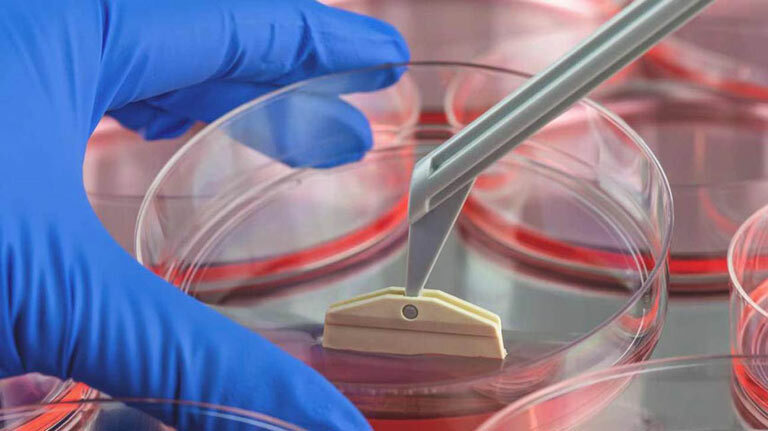 As opposed to other stem cell institutes that offer stem cell banking, Advancells offers high-quality, pure and viable stem cells for stem cell-based therapy to cure life threatening and otherwise considered as untreatable conditions.